If you're looking for family villa holidays that you and your kids will love, why not choose from a selection of superb family villas from James Villa Holidays. Family villa holidays are a great way of spending quality time together, whilst enjoying a holiday full of space and freedom in your very own villa. If you're looking for a family vacation, a villa holiday is the ideal choice. What can you enjoy at a family villa? A selection of our villas are ideal for the family as they have special features to keep the kids happy. 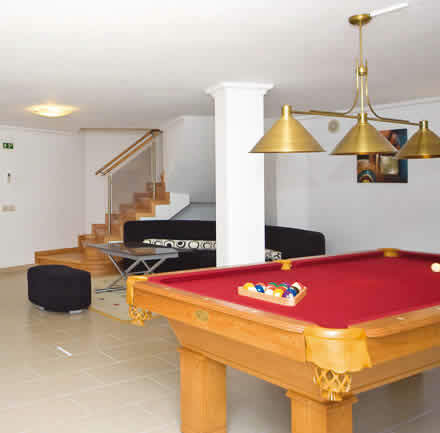 We offer plenty of family holiday villas with entertainment such as pool tables and table tennis – perfect for keeping the whole family occupied! You will also find villas with activities on your doorstep at our Holiday Resorts, which often boast kids clubs too. Why not try one of our popular Holiday Resorts with a Costa Calida Villa holiday rental? We offer a wide range of destinations including many that are perfect locations for a family holiday abroad. Why not take a look at our family holiday deals and rent a villa in Menorca with its idyllic beaches? With James Villas, you’re sure to find the perfect combination of family villa and destination to create your ideal family holiday break. Family holidays abroad are best enjoyed when you have space, freedom and flexibility you need to enjoy spending time together, whilst having all the backup you need during your stay in the villa. With James you can enjoy your family villa holidays abroad in peace, whilst knowing our staff and in resort teams are on hand to help with any problems you may have. Find out more on our about James Villas page. If you’re trying to decide the best time to take a family holiday, winter sun could be the perfect option for you. Choose from our family villas in great winter sun destinations to enjoy superb all year round sun, and quieter beaches during these months.